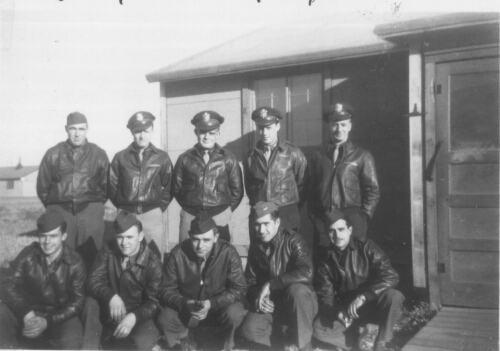 2ND LT ROBERT W. BAILIE            CP POW 24 MAY 44  BERLIN                                   A/C #42-31534 "POWERHOUSE"
EYEWITNESS STATEMENT ON MACR:  "ACCURATE OBSERVATION WAS MADE IMPOSSIBLE DUE TO FIGHTER ATTACKS AND 10/10 CLOUD CONDITIONS. A/C NUMBERS 534, 845, 941, AND 095 BELIEVED LOST NEAR SAME TIME. EIGHT (8) CHUTES SEEN IN THE AIR BUT NOT POSSIBLE TO TELL WHICH PLANE THEY CAME FROM. FORMATION BADLY BROKEN UP; ALL AIRCRAFT BELIEVE LOST TO E/C." October 6, 1993. Born in Chicago;  in the transportation business most of his life. Frank (to all 100th veterans) and Ester were important members of the committee who organized the Long Beach reunion. They bought Ev Blakely's home in Northridge. When Frank's family owned a Chicago executive limousine service catering to Chicago buisnessmen and politicans in the 30's, they realized that most of their bills were paid by Al Capone. 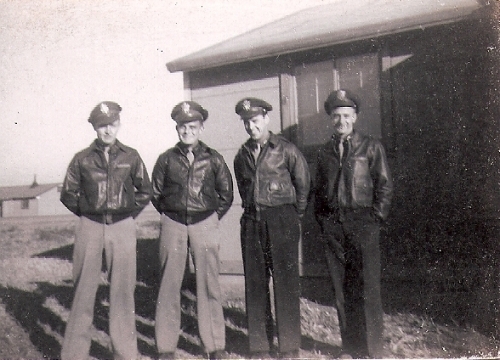 Frank was a 350th pilot and a POW. In a splendid eulogy an old friend reported that Frank's love of food stemmed from his POW hardships and his fondness for the 100th. He always said that he enjoyed life whether it was having a drink with Jimmy Doolittle, playing golf on the Sultan's course in Morocco, or in learning a little Russian to help a travel agent client -- because he almost lost his life in the 100th .. Frank Malooly was one  of the 100th's most admired and respected veterans. His eight (Frank always said six or seven, but it was eight, likely nine) missions to Berlin, I believe, are more than any other 100th crew flew. He will not be forgotten by comrades and is often remembered fondly in conversation with 100th veterans. Frank would have wanted it so..
Crews 26th Mission, 9 were to Berlin and considered the most flown by any crew to "Big B"